Pioneers in the industry, we offer corrosion protective packaging solutions, anti corrosion protective packaging solutions and corrosion protective packaging from India. As a praiseworthy entity of this domain, we are engaged in offering the best quality of Corrosion Protective Packaging Solutions. By blocking humidity to the surface of the metal, the offered corrosion protective packaging solutions prevent corrosion during shipment and storage of products for a long time. 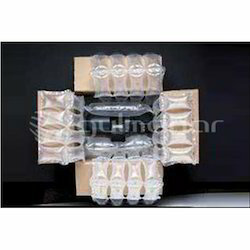 Rendered by us at cost effective prices, the corrosion protective packaging solutions are highly demanded in a packaging of shipment goods. 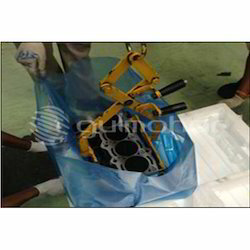 The metal product is placed in the SicheR VCI packaging material, which is closed and put into the transport packaging. Owing to our rich experience in this domain, we offer the premium quality of Anti-Corrosion Protective Packaging Solutions. For preventing corrosion during shipping or storage of products for a long time, the offered corrosion protective packing solutions are used in packaging industry. Being a quality focused name, the quality of corrosion protection packaging solutions is never compromised. Keeping the track of latest happening in this domain, we offer the best quality of Corrosion Protective Packaging. Ideal for corrosion protection during shipment, the offered corrosion protective packaging is processed by using the latest technology. In addition to this, the offered corrosion protective packaging is ideal for protection products from corrosion during temporary storage between manufacturing and final dispatch at clients’ end.